I have a confession to make. When Liz suggested that we create a Fundly page with an initial goal of $5,000 to help support Center Lane Stationery, I thought she was crazy. 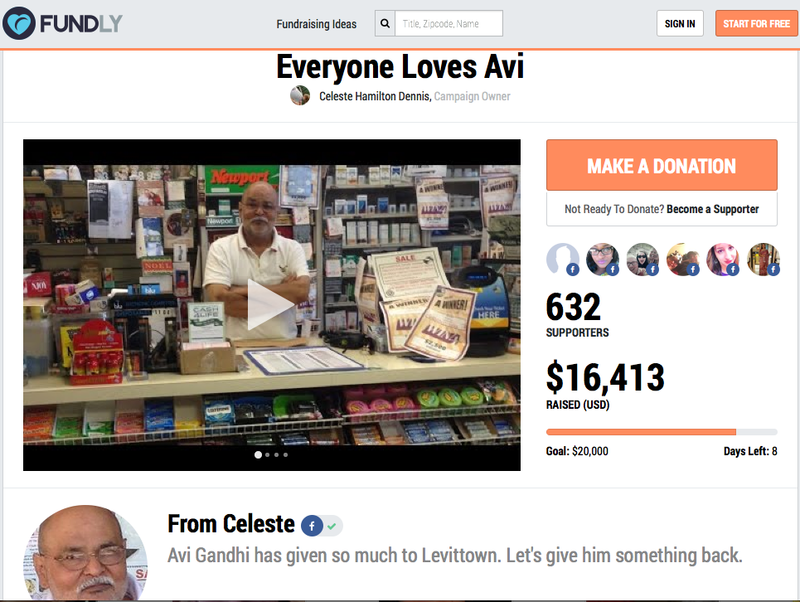 Her idea was this: use the film to inspire donations to help Avi restock inventory, hire someone a couple days a week to give Avi a break, or if he was forced to close, start a mini-retirement fund. I mean, I knew Avi was special in so many ways but would people really want to reach into their pockets and donate money to someone they didn’t know? I was skeptical. But she encouraged me to dream big, and four months after I created the campaign, I couldn’t be happier to be proven wrong. As of today, we’ve raised over $16,000 for Avi. That’s more than I ever thought possible. More than that, it’s been heartwarming to see how Avi’s story has resonated with so many people. They get him. They perceive his kindness, his sincere appreciation of the people he serves, and how tirelessly he works. I’ve been showing this to my mom, and it’s been blowing her mind that strangers are coming together to financially give a boost to another stranger. Over the Internet. Fundly has proven to be a perfect platform for us. Aside from just an awesome user experience, what I love most is the flexibility, as it’s allowed us to continually dream bigger and raise our goal from $5,000 to $20,000. Their team has been super supportive as well (thanks, Krystal Gandola!) and has pitched this story on our behalf to media outlets and promoted us on their own blog to help raise as much as we can for Avi. I don’t know what the final total will be or how Avi plans on using the money (more to come from Avi himself! ), but I continue to be amazed, humbled, and above all, grateful.